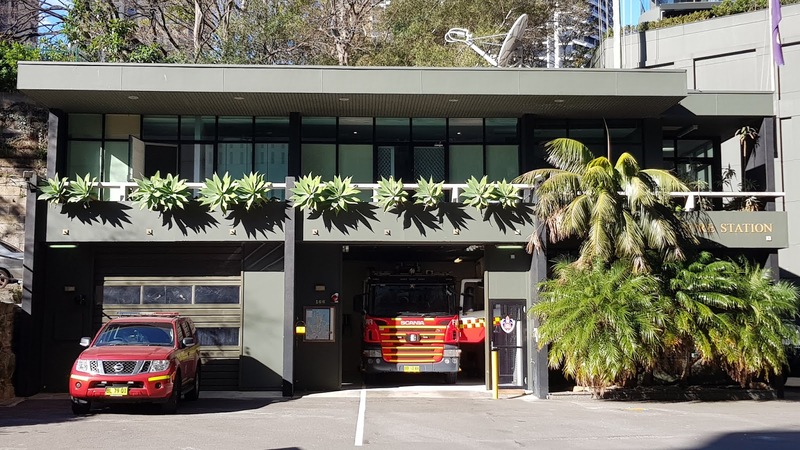 This fire station is located along Kent Street, in the inner city suburb of Millers Point. This contemporary building wouldn't look out of place as a modern house in a leafy suburb. You're quite correct about that. Very pretty with the greenery and plantings . What a charming fire station! What a delightful building! I love the plants on the balcony. Looks like it could be made from lego. ...Jim, this leafy treasure would look right at home here on Maui. Thanks for sharing. What an attractive fire station! Like all the plants on the balcony/second floor.